I framed points of intervention around the head, heart and hands model which maps on to anthroposophical models of the human being and community life: ‘the threefold social order’. The ‘threefold’ model for the human being is: body, soul and spirit; for community life is: economic, social and spiritual life. 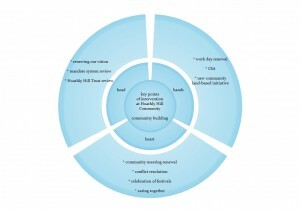 Keys points of intervention were existing community activities and events, in order to acknowledge what has been done and develop existing initiatives. 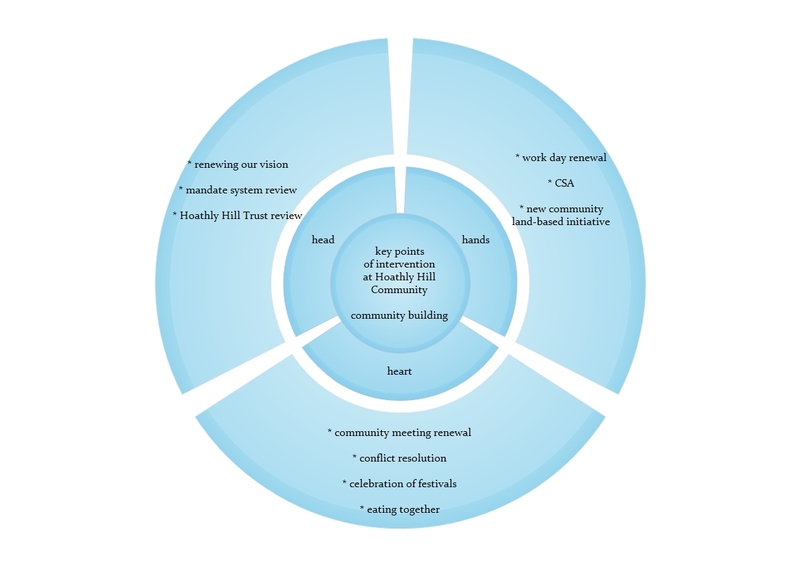 In order to inspire and integrate new community members, as well as reinvigorate or renew long-term members, a new land-based initiative had the potential to have a positive impact on community life.